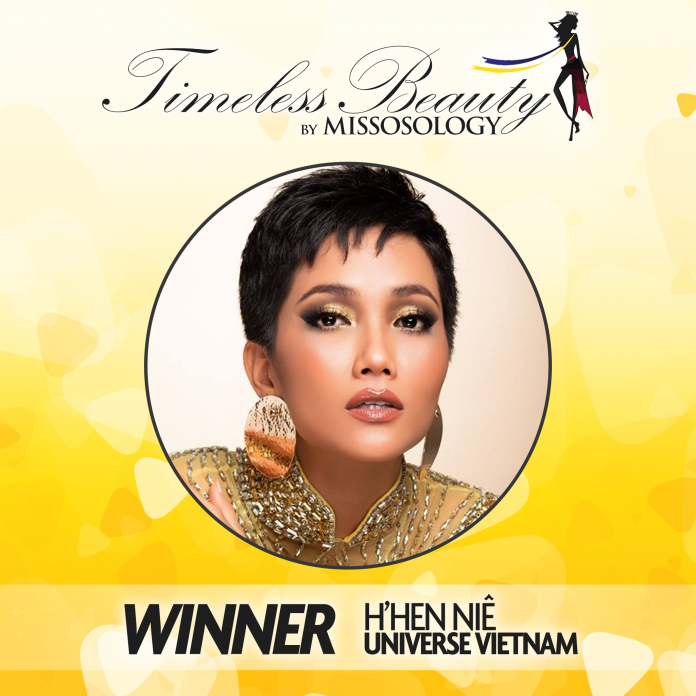 H’Hen Nie, the first Vietnamese woman to make it to the Top 5 of Miss Universe, has added another feather to her cap by winning the Missosology Timeless Beauty 2018 award. The 27-year-old Vietnamese defeated 112 other women from different beauty pageants to top the shortlist of global beauty icons with 4,576 points, according to results of this year’s Timeless Beauty accolade announced by its organizer, beauty pageant website Missology.org, on Monday. 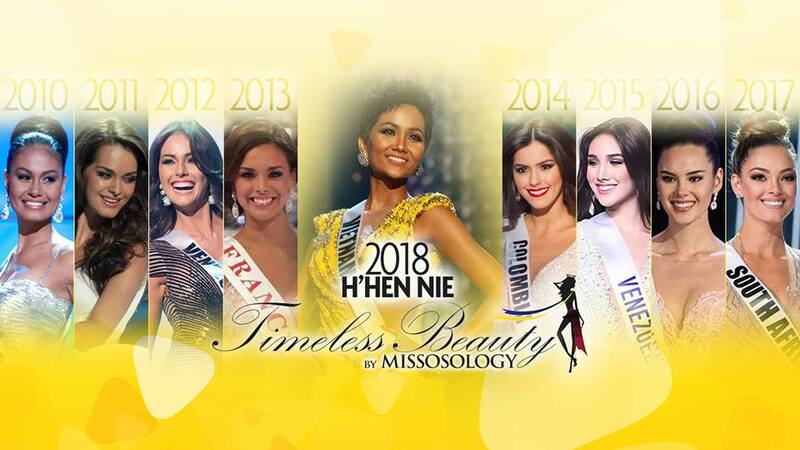 H’Hen Nie is the first Vietnamese and the third Asian woman to have been proclaimed Timeless Beauty since it was formally organized by Missosology in 2010. H’Hen was crowned Miss Universe Vietnam in 2017, going down in history as the first ethnic Vietnamese woman to have done so. Her Top 5 finish at the 2018 Miss Universe in Thailand last month was the highest ever result for a Vietnamese contestant at international beauty pageants. As for Missosology’s Timeless Beauty 2018, the beauty queen had previously been nominated for the award, together with other Vietnamese representatives including Phuong Khanh, Miss Earth 2018; Tran Tieu Vy, Miss Vietnam 2018 and Top 30 in Miss World; and Minh Tu, Top 10 in Miss Supranational. Timeless Beauty has been organized annually since 2010 as a tradition of Missology to recognize a queen who best embodies beauty that will transcend time, “something that shall be remembered for all eternity." The candidates are evaluated against several criteria including their appearance, performance in a beauty competition and worldwide influence. “Her selflessness was admirable as she decided to use her prize money to build a library in the countryside,” the website acclaimed H’Hen’s kind heart. “She might not have won the crown, but H’Hen won the hearts of the people with her inspiring story,” Missology wrote.